26 year old Corey Legge plays heartfelt acoustic folk, rock, and alt-country, drawing influence from growing up on the beautiful Far South Coast of NSW. 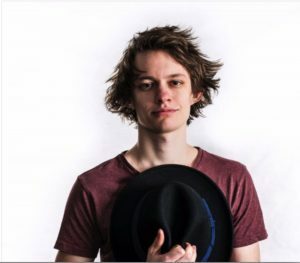 Now based in Wollongong, Corey’s original music is reminiscent of James Taylor, with intricate fingerpicking, and smooth vocal melodies that will get stuck in your head for days. The guitarist/singer-songwriter recently received a prestigious ‘Young Regional Artist Scholarship’ and Yuin Folk Club grant, which allowed Corey to record his debut solo album in New Zealand with world renowned producer Ben Edwards (Julia Jacklin, Marlon Williams). The album will be officially launched at the festival.